Nothing is more wonderful than receiving a beautiful bouquet of flowers from that special someone, but getting the most out of them and keeping them fresh can often be a difficult task. With the right care and attention, your flowers can last much longer, and we’ve put together some fantastic and easy tips as to how to do this. When receiving fresh flowers it’s important to remember that they are still a living thing so will still require water. Even after they have been cut for a bouquet, they will continue to drink water, which is why it’s important to keep them in water all of the time. When the stems are exposed to air this can cause the cells that absorb water into the flowers to shrivel up and can then reduce the longevity of your flowers. Utilising the food that is included with your bouquet of flowers, you should add this to the water as per the instructions on the packet. 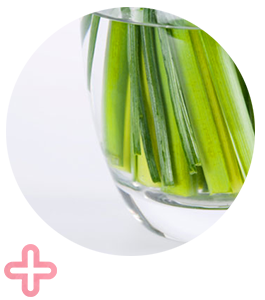 Fresh water, at room temperature, should be added to your bouquet along with this flower food. This will help to keep your floral bouquet vibrant and fresh for much longer. 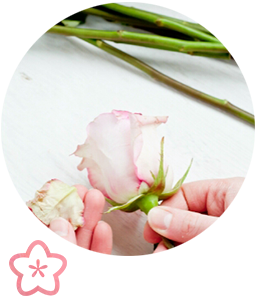 If you do find that your flowers wilt, try submerging the entire stem of the flowers in warm water for around 10 minutes, and this should help bring them back to life. It isn’t recommended to use home remedies such as mouthwash, bleach, lemon-lime soda or aspirin as this could result in your flowers not lasting as long. You should always cut the stems of your flowers at an angle as this will help their water uptake – flat cuts can prevent this. 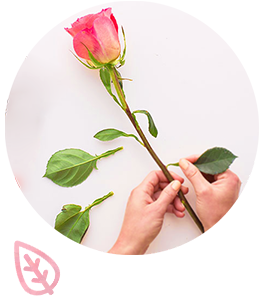 If you can, cut your stems diagonally (with a knife) every few days, re-cutting the stems of your fresh flowers. Try to do this under running water. Some say that you should cut a stem vertically but this isn’t a scientifically proven statement and is a common misconception. 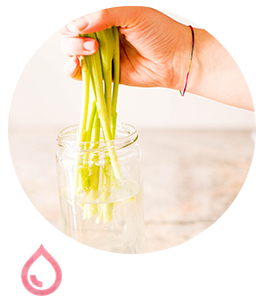 In fact, cutting the stems in this way can hinder water uptake as it will destroy the structure of the cells and will cause increased bacteria growth. 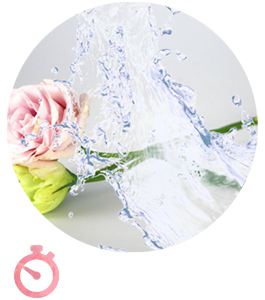 When arranging your floral bouquet, remove any leaves that are going to be submerged under the water. If these are left on they can rot and produce bacteria, which will fundamentally affect the lifespan of your flowers. Great exposure to sunlight and high temperatures can cause your flowers to mature quickly and will therefore reduce the time you can enjoy them for. Always place them in an area that is away from any droughts, direct sunlight and appliances that create heat. 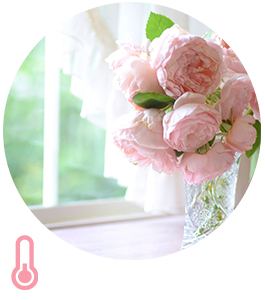 If you are allergic or sensitive to fragrant flowers, try to opt for something that is non-fragrant. A lot of tropical varieties such as anthurium, orchids and birds of paradise are ideal. Always avoid oriental lilies, particularly the Stargazer variety as these are incredibly potent and not recommended for those with allergies. If you have animals in the home then the following should be avoided as they are potentially toxic towards them: cyclamens, peace lilies, tulip bulbs, azaleas, lilies, amaryllises, English ivy, kalanchoes, rhododendrons, narcissus bulbs, chrysanthemums and palms.